There are easier ways of getting from here to there, but all day long children choose to cross this narrow, springy plank they've set between a pair of stumps. Why do they do this? It requires more focus than merely walking across the ground. There is a heightened risk of injury, something even the 2-year-olds know going in: you can tell by the caution with which they approach it. There are easier, safer ways, so why do they consistently choose the way that is hard? 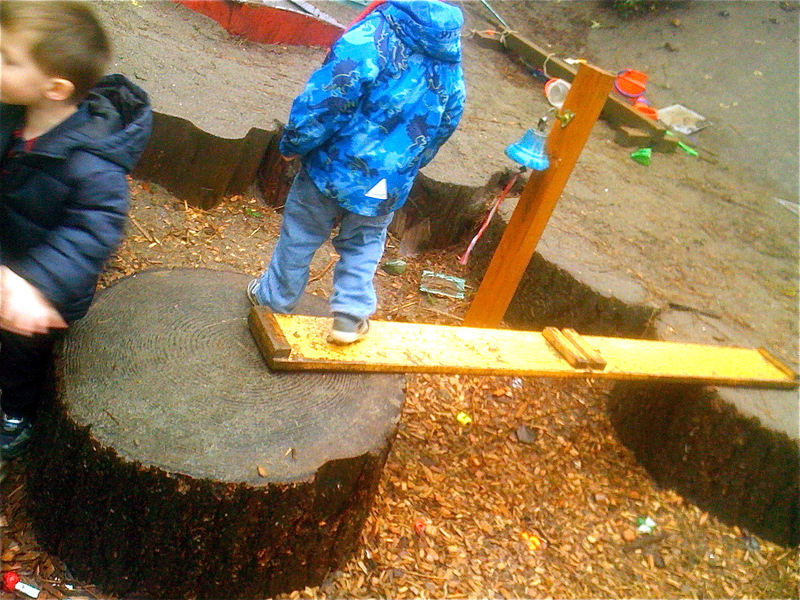 One of the arguments used against a play-based curriculum is that it doesn't teach children rigor, that there is no incentive to tackle things that are difficult, but every day, all day long I see evidence to the contrary. In fact, it's often hard to find a child who is not applying herself, rigorously, to her play. In every corner of the classroom, at any given moment, we find children striving in their play to do things that are hard: making the scissors cut the paper, shaping the play dough into a sphere, negotiating over a toy with a classmate, balancing across a narrow plank. When we think of play we usually think of smiles and laughter, but look around and you'll find brows wrinkled in concentration, jaws clenched in effort, bodies tense in anger, and eyes filled with the tears of frustration. This is also true of a rote-based curriculum, the difference being the smiles and laughter. If it were true that children are inherently lazy, that without the firm hand of teachers executing standardized lesson plans filled with things a committee has determined they ought to know, and by when they ought to know it, that they will only play and never learn to apply themselves -- if this were true then there is no explaining this plank between two stumps. No, what those who doubt play fail to realize is that what they see as laziness is really boredom. If a child appears lazy, it's because you're doing it wrong. 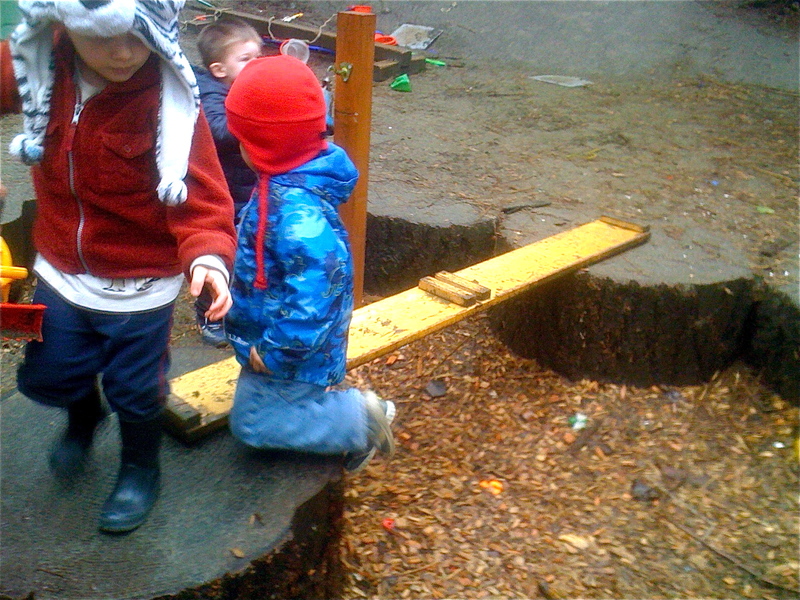 When we understand that play is, indeed, research, then it all makes sense. They see the smiles and laughter as evidence of sloth and distraction, whereas in a play-based curriculum we know it as evidence of Eureka! Children are not lazy. They are also not empty vessels that now need to be tediously crammed full of things that others believe they ought to know. 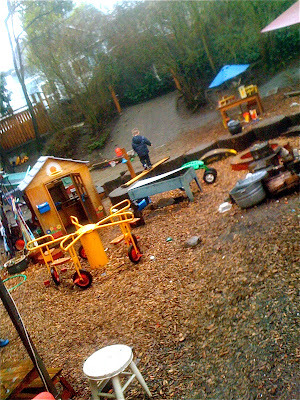 No, more often than not, when left to their own devices, children chose what is hard over what is easy. Why? Because humans are flames to be ignited: we are born to research, born to explore, born to cross that plank even when it is the way that is hard. How Dare They Tell Me I Cannot Be A Princess? If You Don't Know Where You're Going . . .